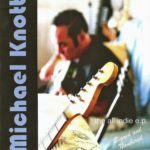 Michael Knott | The All Indie E.P. Independently released CD-R, with layout design by Michael’s father Howard. Limited to 500 copies – but each copy was signed by Mike.